The college baseball season begins tomorrow, which marks the beginning of draft prospect season. Ever since this site started, one of the goals has been to keep track of the players who could potentially be taken by the Pirates each year in June’s draft. We keep individual player trackers updated with stats throughout the year, and have at least two weekly updates on the progress of all of the players who could go off the board around where the Pirates pick. The players we are tracking for the 2013 draft are below, along with information about where the Pirates pick, and a look at how each of the players below would fit into the Pirates’ system. The Pirates pick twice in the first round this year. The first pick is number nine overall, which is their compensation pick for not signing Mark Appel last year. Under the old CBA, a compensation pick wouldn’t have been protected. Under the new CBA, a compensation pick is protected, meaning if the Pirates don’t sign the number nine pick this year, they’d get one more compensation pick in the 2014 draft. 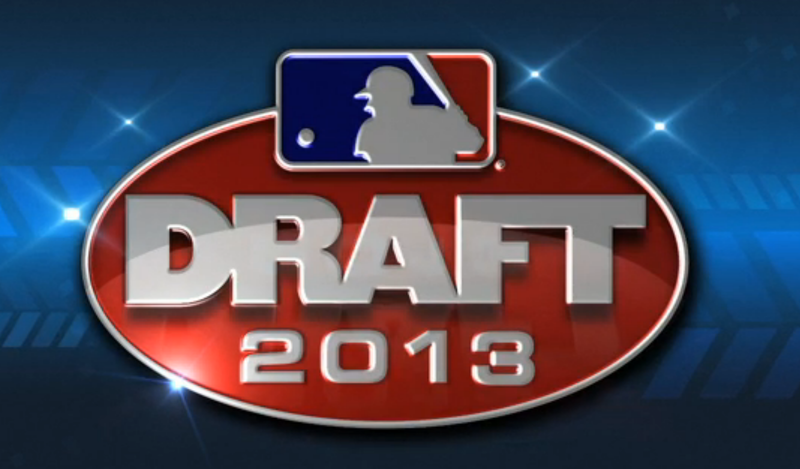 The second pick the Pirates have is the 14th overall pick, which is their regular pick in the draft. We only focus on potential first round candidates for the draft profiles, since it would be impossible to accurately follow players who could land with the Pirates in the later rounds. As far as those picks, the second round pick is number 50 overall. The third round pick is number 87, the 4th round pick is 119th overall, and add 30 picks for every round after that. Based on previous experiences, it’s best to start small with the draft profiles. The pre-season rankings can see some drastic changes. This time last year Carlos Correa, Albert Almora, and Max Fried were rated as mid-first round picks. Correa went first overall, and Almora and Fried went top seven. Deven Marrero came in to the 2012 season as a consensus top five pick, and ended up falling to 24th overall. Chris Beck was a top ten pitching prospect and fell to the second round. In short, nothing is set in stone and a lot can happen between now and the draft. To get the initial list, I looked at several national rankings and picked out all of the players who ended up in the 9-14 range on multiple lists. That ended up being mostly hitters, which works out well for the Pirates, since they have a pitching heavy system. They had a few hitting prospects emerge in 2012, and a few breakout candidates in 2013, but adding more hitting wouldn’t hurt. Below are the links to the profiles for each draft prospect we’ll be tracking this year. As the year goes on we always add more players, mostly when they’re linked to the Pirates or when their stock improves to the point where they could be considered where the Pirates are picking. After the links to the profiles I’ll break down the names and how they could fit into the system. Looking at things realistically, Pedro Alvarez is a Scott Boras client. That means he’ll be leaving via free agency when he’s eligible, which will be following the 2016 season. A college hitter in this draft could arrive in the majors by 2014-2015, and probably won’t be fully adjusted until 2016. The Pirates don’t have to draft for need, as a lot can happen between now and then to get a third base replacement. That is something they’re going to have to start focusing on now. This draft has two college third basemen who rank around where the Pirates are picking. Kris Bryant from San Diego seems a lot like Alvarez, almost an Alvarez-lite. He’s got plus to plus-plus power, and a plus arm, but might have to move to first base or right field and is prone to strikeouts. Colin Moran from North Carolina is a strong fielder at third base, and a great hitter, but doesn’t have the power that Bryant has. Moran is also a left-hander, which fits PNC Park better, unlike Bryant who is a right-hander. The Pirates don’t have any depth at third base in their system. There are a few raw talents in the very low levels, but there’s no replacement for Alvarez on the horizon. There’s also no one who could move him over to first base in the short term. If Bryant or Moran are available when the Pirates pick, they’d both certainly look good from both a talent and a system need standpoint. If one of them were to arrive early, they could push Alvarez over to first base. The Pirates had a breakout shortstop prospect in their system last year in Alen Hanson. The only problem is that there’s not a consensus opinion that Hanson can stick at short. More people are leaning that direction now than they were prior to his 2012 season, so that’s a positive sign. However, shortstop is the hardest position to fill, and sticking at shortstop through the upper levels is far from a guarantee. The 2013 draft group has two prep shortstops who both have the defensive skills to stick at the position. J.P. Crawford looks like the top choice, with a plus arm and a strong glove. Oscar Mercado also has the defensive skills to stick at short, but an inconsistent bat. In the last two years we’ve seen shortstop prospects soar to the top of the draft, with Carlos Correa last year and Francisco Lindor in 2011. You could also add Manny Machado to that list in 2010. Because shortstop is such a hard position to fill, there’s value in adding a guy who projects to stick at the position. The situation with Crawford and Mercado is tricky for the Pirates. They need to be good enough to be taken in the 9-14 range, but if they go too far they could soar past the Pirates and go in the top eight picks. If one of them is there when the Pirates pick, and if that player has lived up to the billing, then the Pirates would be smart to go with the shortstop prospect. Alen Hanson is a great prospect, but relying on one player to fill your long-term shortstop needs is not a good strategy. If you end up with two shortstops, that’s a luxury that all 30 teams would like to have. In the last year the Pirates have added some lower level catching depth. They drafted Wyatt Mathisen in the second round of the 2012 draft, and international prospect Jin-De Jhang has gotten a lot of attention for his hitting abilities and his work behind the plate. Both guys profile as potential two-way catchers, although neither is a guarantee to stick at the position. Much like shortstop, it’s hard to stick behind the plate as you move up to the higher levels. Just look at Neil Walker as a recent example for the Pirates. With Jhang it’s an issue of maintaining his weight. Mathisen hasn’t had much experience behind the plate, but also is a risk of outgrowing the position physically. So while the Pirates have some lower level depth, adding to that depth wouldn’t be a bad idea, and would only increase the chances of landing a two-way starting catcher down the line. Reese McGuire looks like a great potential pick for the Pirates. He’s a power hitting left-handed catcher with a plus arm. He fits the system need for power hitters, adds to the lower level catching depth, and the left-handed power fits in at PNC Park. Even better, if he does have to move from behind the plate — or if Mathisen or Jhang stick — he could be an option at third base, which solves the Alvarez problem. There’s a chance that McGuire could be there when the Pirates pick. Right now he’s ranked in the 13-14 range. He’s one of my early personal favorites from this draft, for the reasons listed above. So far the focus has been on system need, which is pretty much the only thing you can focus on this far out. We don’t know yet which players will perform to expectations, which players will fade, and which players currently ranked in the late first round will jump to the Pirates’ range. There are some players on the above list who play a position where the Pirates are well stocked — outfield and pitching. The Pirates have some strong pitchers at the top of their system, and a lot of depth below that. They’ve also added some top outfield prospects with the emergence of Gregory Polanco and the drafting of Josh Bell. You don’t draft for need, you draft based on talent, which is why we’re following the pitchers and outfielders despite the system strengths. On the outfield side, Austin Wilson is the big name. He was a top prospect out of high school in 2010, was drafted by St. Louis, but ended up going to Stanford. Wilson has the potential to be a power hitting right-fielder. The problem is that he’s a strong candidate to go before the Pirates get to pick. If he is there when the Pirates pick ninth, he’d provide a lot of value. Dominic Smith is a prep outfielder with a lot of power potential and good hitting skills. Trey Ball is another prep outfielder who profiles as a two-way player. He’s got the potential to be a five-tool outfielder, but is also a left-handed pitcher who can throw 89-92 with a tall projectable frame and loose arm action. On the pitching side, Jonathon Crawford is a college pitcher with a plus fastball and a plus slider. He does come with concerns about his delivery. Pirates fans are used to guys like Jameson Taillon and Gerrit Cole at the top of the draft, which might lower the appeal for Crawford. He’s a pitcher with two plus pitches, which is good value in the middle of the first round. If one of these guys ends up being the best player available, the Pirates can’t afford to pass on them because of system need. Austin Wilson and Trey Ball would top my list from this group, although both could be at risk to go off the board before the Pirates even pick. I doubt that they will take two HS players with the #9 and #14 picks – that could chew up most of their bonus pool to get them signed. There are also a lot of prep catchers in the top 50 or so in this draft – it would make sense to grab Moran or Mercado and a signable (under-slot) college pitcher with their first two picks, then there would be money to sign some later round talent. One point which strikes me about the “best player available” strategy and the talk about it is this: Those who write about it assume that a clear ordering of the prospects is possible and that that order reflects known facts about the players. This clear order would produce a ranking like this: Player A > Player B > Player C >…n. But this kind of ranking may be rare or inaccurate. An accurate ranking may look like this: Player A & Player B > Player C > Player D & Player E & Player F >…n. Using expected baseball value as a guide, the Houston Astros might chose either A or B from the second ranking. If they knew the true state of the world with respect to these players, they would prefer either. But they might pick one because that player fit the team’s needs. The point, then, is this: The “best player available” and the “draft for team need” strategies do not exclude one another. They are not akin to logical contraries. A team can thus draft for need and to take the best player available. In the regard that you are speaking sure, but that is not how the masses use the terminology. When generally discussed drafting for “need” is the concept of taking say the best SS available at your pick even if a SP that is rated much higher is on the board. Kind of like Colon in KC and Green in OAK during recent drafts. That is a bad idea every time. On the other hand, you have to trust that a MLB team is capable of ranking prospects based on talent. They should have a clear order of players based on the many resources they have, far more than we are privy to. If player X is ranked #3 and player Y is ranked #6 you go #3. NH demonstrated this last year with a predraft deal in place with David Dahl, they still chose Appel. I noticed the common use of the phrase and intended to criticize that use and proposed a better use of the two phrases in question. The common use of the “best available” strategy is too simple to work well in most instances. Because it is too simple, too black and white, it creates confusion, not clarity, about the choices teams face when drafting. As for the 2004 Draft Class, only Justin Verlander and Jered Weaver have had better careers than Neil Walker among the first round picks. One might include Billy Butler too, but he’s a DH, not a middle infielder. I’ll not assume that front offices have the information they need to make accurate assessments of the players they intend to draft. Nor will I assume they would make best use of that kind of information if they had access to it. It’s not reasonable to make these assumptions. If you’re going to use the Hochevar examples, thats a bit too hindisghty don’t you think? You could do that with any collection of data. The whole draft is imprecise, and pointing out examples like that doesn’t really say much. There are always going to be prospects that teams (and prospect sites) are wrong on. Nature of the business. But I agree with you on the BPA thing…its too simple to use by itself. My point: Drafting players has qualities which make hard and fast rules irrelevant, at best, and destructive otherwise. I made that point to rebut someone who claimed we ought to cut slack to front offices because they are more knowledgeable than we are and can accurately identify talent. Clearly, they can’t accurately identify talent, as my examples show. I agree with much of what you’re saying. Have a clearly defined set of draft rules or ideas is a nice idea on the surface, but foolish to cling to stubbornly. But I take issue with your statement that they can’t identify talent. ; thats just an untrue statement. For all of those high-profile busts, you could identify many others who were later round success stories. Players fail for any number of reasons. A pitcher may get injured and come back with less velocity and stuff. A player’s inability to hit breaking balls may not show up until at AA or AAA. Stating that they can’t identify talent with examples like that is too simplified. If they could identify talent, then their would be no risk of their drafting Tate, Matt Bush, etc. But their ability to identify talent generates much risk for them. The reason: Inaccurate identifications — read: mistaken identifications. Again- You really can’t take the best available player. You have to take the player with the highest perceived value in terms of position and talent. I think people often term the BPA theory (or I’ve seen it pop up more) when talking about the price-tag of a player, and why a cheaper alternative is taken over a more expensive one. Agreed, I don’t think need and BPA are mutually exclusive. I’ll have a Moran and I’ll try the McGuire, please. Thank you. No, that will be all for now. Is there any thought that Matheison could replace Alvarez if he grows out of the backstop? Also, I forgot to mention that I would be happy with either Wilson OF or Crawford SS – if not both. He’d have to hit for power or have some really nice defense. I don’t see his bat being good enough for third if he has to move off catcher. Is it thought that his athleticism can translate to another position? Mathisen has only played half a season in the GCL. It’s probably way too early to start thinking about where he could eventually end up. Defensively he’s athletic enough to play any other position if he does have to move off catcher. But we also need to see what he’s got with the bat. I guess to your original question I’ll say he “could”, in an “anything could happen” way. But it’s way too early to talk about that kind of stuff with Mathisen. A lot of upside on both sides of the game, but also a lot of projection. Perhaps this a question maybe for a different thread and topic, but your comment got me thinking. Do you think that often as fans or prospect-folk, we get tunnel-vision about positions? For instance, corner infielders are often thought of in terms of bat or power only (1B moreso than 3B). But by having that view, doesn’t that ignore the individual player a little too much? For instance, first basemen who are very good defensive and OBP players might be undervalued when compared to the Ryan Howards of the world. Drafting the ‘Bets Available” may indeed lead to a surplus in the OF or P, for example. However, the F/O could certainly deal from a position of strength to acquire a 3B or C. Similar to the trade for Wandy Rodriguez, which was a steal on our part, IMO. Best available is the only strategy that should be employed in an amateur draft. Need based decisions lead to poor choices. Besides, with the crapshoot that the MLB draft is, you can’t pretend to know who will work out and who won’t. Can anyone explain why we have the number 9 pick. I know that it is because we failed to sign Apple with the 8th pick last year. Is the rule you get the same pick the following year? Say God Forbid we don’t sign number 9 pick this year, what pick do we receive the following year for the failed signing? Is there any references detailing situations like these? Yes, there is a rule that you get the pick AFTER the one where you didn’t sign the player. And, if we DON’T sign the player at #9 we lose the pick. So, we will have to make sure we draft someone we know we’re going to sign, which MAY hamper the value somewhat? Actually, the pick is protected for two years so if by some miracle we do not sign our #9 pick we are covered until next season. The rule states that you get the same position in the next year’s draft, however another team already has #8 for 2013, thus our pick is pick #8B or in reality #9. We would have the #9 pick (8B) again in 2014 if we don’t sign a player. The old rules had teams forfeit the pick after a year, but that was fixed in the CBA. I will be shocked if NH doesn’t take one high end guy (slot value) and one lower end (below slot guy) with these two picks. That would give him flexibility to go over slot later. I’m on the Mercado/Moran bandwagon for now. Or at least until they play themselves out of the 9-14 range. Yes to JR Crawford. No to Jonathan Crawford. Jonathan Crawford sounds like a max effort pitcher who might regress once he finds himself a pro. I’m assuming that you believe stanek, appel, manaea, meadows and frazier will be gone way before the 9th pick or just didn’t post their pages? I just kept it to players who were projected to go in the 9-14 range. They won’t be able to draft Appel, anyway, unless he gives his signed consent. I like that most of these guys are position players. I hope that breakdown holds once the top picks start sorting themselves out.